Binoculars and camera at the ready…enjoy the view as nature entertains. Masai Mara or The Mara as its known by the locals is famed for its bountiful array of animals including lions, leopards, cheetahs and of course the annual migration. 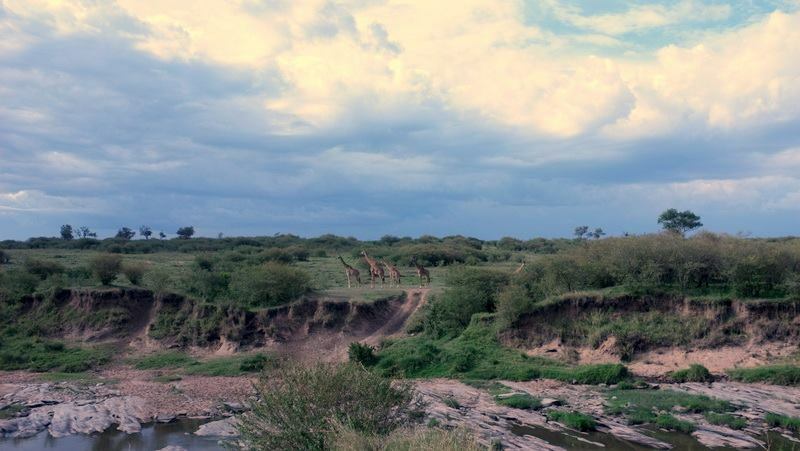 It was named in honor of the Maasai people who describe the the area when looked at from afar: “Mara,” which is Maa (Maasai language) for “spotted,” an apt description for the circles of trees, scrub, savanna, and cloud shadows that mark the area. The Great Migration of zebra, Thomson’s gazelle, and wildebeest to and from the Serengeti is on show every year from July to October. Don’t miss it.